In this part, I'm going to start looking at sprites, and see if there's anything I can do in order to display "something" so I can better see games running. The simplest thing to do, is to just display a blob, but before we do that let's look at sprites in general. Now the big problem with GameMaker is that there are no "dynamic" sprites/textures that the CPU can access directly, and unfortunately emulators LIVE by the grace of dynamically generated content via the CPU, so this is a big problem. 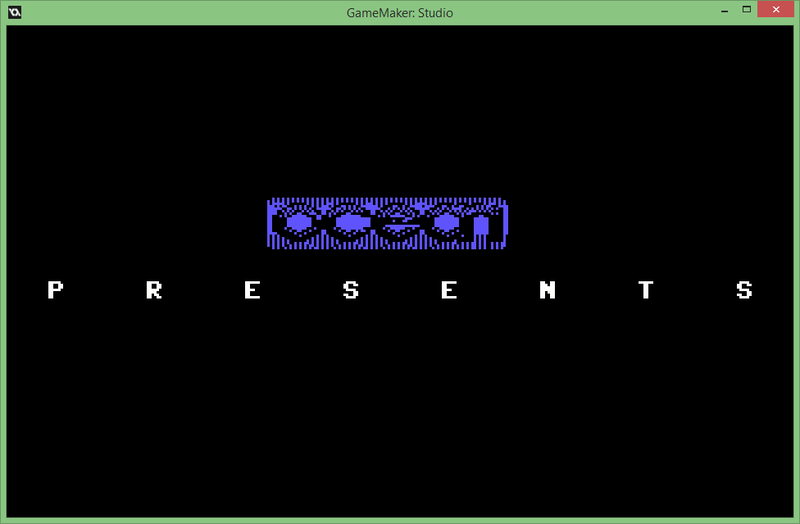 On normal emulators, the content is dynamically rendered - on the fly - directly from the C64s emulated memory, pixel by pixel as the emulated frame progresses. This simply isn't possible with GameMaker. The only way to do this, would be to literally plot every pixel as you draw them. At the very least that's 320x200 (64,000) pixels - JUST for the character map screen, never mind the border, and multiplexed (and possibly X and Y expanded) sprites. So that's obviously not possible. But I still wanted to "see" something, so I decided to just create a sprite in GameMaker that was 24x21 pixels in size, and then just render it where the sprites should be. These are rendered over the top of the character map screen. Once you've decided to just render a blob, all you really need to do is read the positions from the C64's virtual hardware registers, and then loop for all 8 sprites, and your done - pretty easy. Since we're still just rendering at the end of a frame, this of course won't doesn't deal with multiplexors, but you can see things move, and get an idea if the game is playing properly. 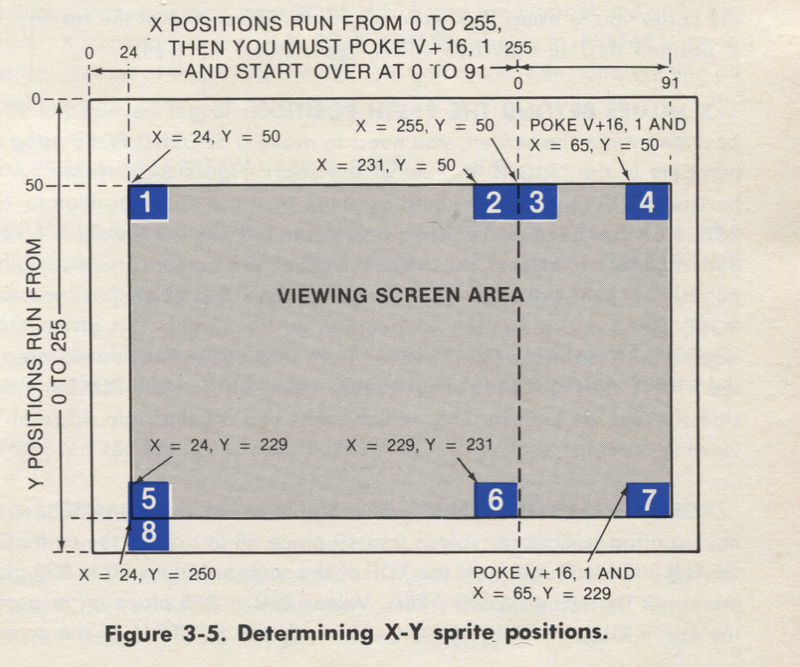 You can also take into account the X and Y expand registers, and double the size using a simple *2 scale if need be. Now that I had the basics running, I started to wonder what I could do next.... Should I move onto sound? This was the whole reason for starting the project in the first place, or should I try and carry on with the rendering and "somehow" do the dynamic stuff. I was about to play more with the rendering loop, when I suddenly though back to Xe03, the retro shooter I'm (still!) writing. It does a nifty trick in order to do it's rendering - it manually rotates sprites into the correct position, and then caches it until they actually change. This proves to be a massive speedup, as not only do you hardly ever need to rotate things again, but when you do, it's "on demand", meaning the work of generating a whole sprite animation is broken up over several frames. At this point I had my brainwave.... why can't I do the same here with C64 sprites? Sure, rendering 100,000 points a frame is stupid, but how about 500 or so for a single sprite? I'd been playing with a small point test a few weeks before and knew point power was pretty good on modern hardware - I got about 70,000 being rendered in a tight loop. This gave me confidence that could at least handle a few thousand at time in a more complex program. So knowing this, I knew I could render a small number of pixels to a 32x32 surface (keeping it a power of 2 for hardware compatibility reasons only), and then keep it lying around, caching it until the memory for it changes. The problem is how do I know if the memory changes? it could be quite a chore to track every single byte being written. But actually .... I don't have to as the CPU emulation already does all memory changes by going through the Poke() function. Not quite ideal, but pretty simple. And actually, not a lot of points (in the grand scheme of things). Now obviously if everything were to suddenly invalidate, it'll hiccup and stutter horribly, but that shouldn't happen too much. Once generated I then draw the sprite with a draw_surface_part_ext() using the top/left and the correct width and height. If I allocate surfaces on demand, then it also means only sprites being drawn - or have ever been draw, will take up space. 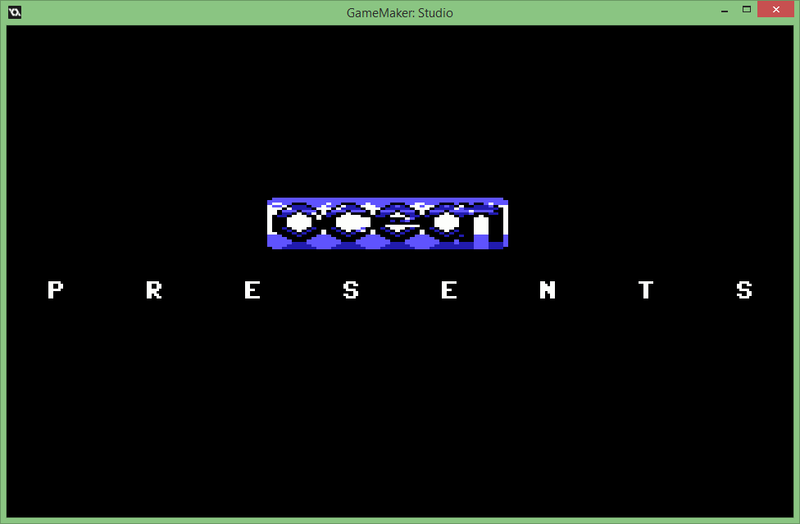 ..........and so all of a sudden, I have PROPER C64 sprites being rendered!! Of course... as you might notice, it isn't quite right. This is because most games use Multi-Coloured Mode (MCM) sprites, not Hires ones. Still, that's a pretty easy to feature to add, but actually... I need to step back a bit and think about it. I don't want to have to regenerate the image every frame if they change any of the colours. The Hires one is fine, as I generate it as white, then tint it using vertex colours to colour tint it, but with MCM sprites, that's not possible.... I feel a shader coming on. The image above shows the sprites from the title page of Uridium. The WARLOCK sprites are actually from the crack intro, not the game. Interestingly, many games reuse slots, presumably copying sprites from elsewhere on demand, so the invalidate cache slot idea works a treat for this as well. In the next part, I'll briefly deal with character sets (much the same as sprites), and how I swapped from just drawing everything at the end, to a system that produces more realistic results.